Last Wednesday, March 19th, I participated in the Women’s Fast for Families, a national fast organized by We Belong Together, in which women choose 24 hours to fast for immigration reform. At first, I agreed to join the fast for two reasons. First, because I was asked to participate by Heather Booth, a personal hero of mine and champion and long-time organizer of civil rights, women’s right, LGBT rights, health care reform and financial reform. The second reason was because 24 hours of fasting seemed like a pretty easy lift. 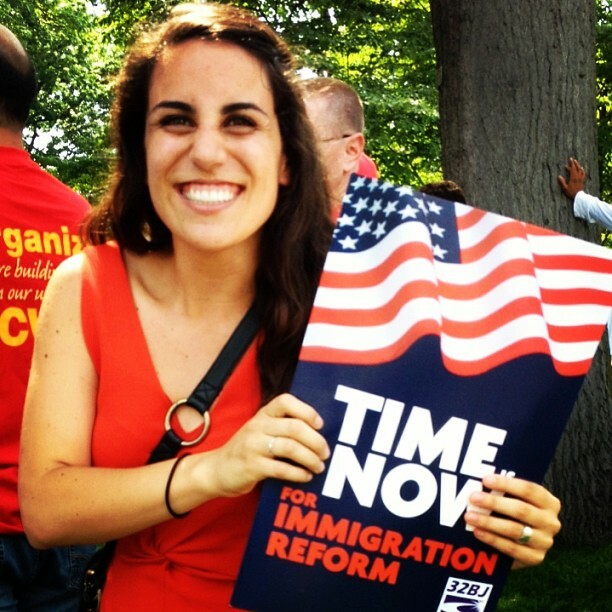 It wasn’t until I began the fast on Tuesday night that I really took the time to think about what it meant to be participating in an all-women’s fast for immigration reform. I began to think about the particular struggles that undocumented immigrant women face as a result of our broken immigration system and all of the incredible women I have met through this movement for reform. I remembered the story of a mother from New York City who had come to Washington, D.C. with her son and brother last summer to urge the Senate to keep families in mind as they amended their version of the immigration reform bill during mark-up. The mother had migrated to the United States undocumented because she was fleeing her abusive partner in her home country. She carried the fear of that abuse with her to the U.S. and at the beginning of the week in D.C., she refused to tell her story to the group because she feared that her partner would somehow find the story online or in the media and come after her. But by the end of the week, she came to us in tears and asked that we record and share her story so that others would be encouraged to share their own stories and so that legislators would hear her story and feel the need to pass CIR. It was the bravest thing I’ve ever seen anyone do. Unfortunately, this story is not unique and is one that many undocumented women share. Many women come to the United States fleeing domestic violence. And many undocumented women, as a result of our broken immigration system, continue to suffer domestic or workplace abuse here in the U.S. and are unable to receive any kind of help for fear of deportation. These are the women I held in my heart during my 24-hour fast. Their struggle and their incredible bravery inspire me and together we will continue fighting until we win reform. Women’s Fast for Families and related events are happening around the country now through April 9th. Click here to see a list of events and to learn how you can become involved.